The Kepler-444 system is a star estimated to be 11.2 billion years old. 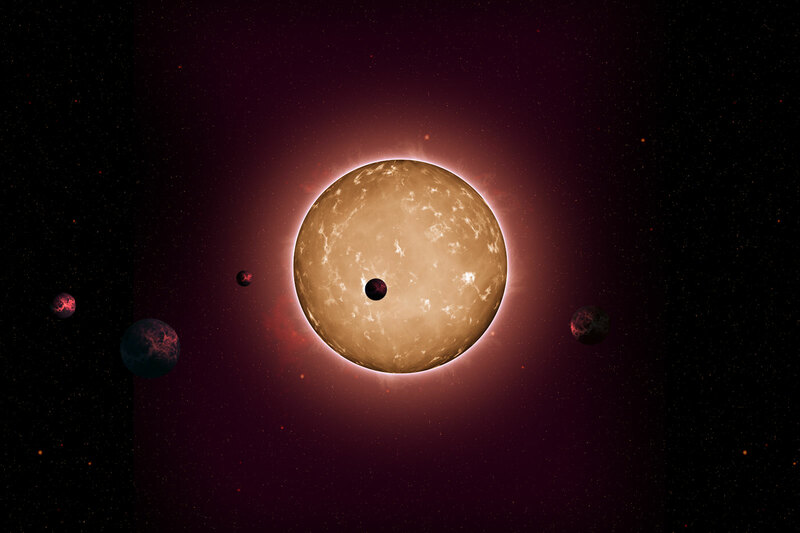 In 2015 the Kepler spacecraft detected the presence of five exoplanets orbiting the star. This animation was constructed by creating an illustration of a volcano in Adobe Illustrator. I then created the sprite offset in Illustrator so that my artwork resembled an ‘old school’ 35mm film strip of 8 frames. I worked out the CSS3 animation properties on paper.